McKenna sidekick arrested in Boston? Relax folks. It’s just a fun photograph of Tegwen Matthews, the Great Britain and Ireland Curtis Cup team manager, snapped by the LGU’s Head of Golf Operations Susan Simpson as they arrived at Essex County Club for a reconnaisance mission with skipper Mary McKenna. We’ve cheekily lifted the photo from the excellent Kirkwood Golf News site run by Gillian Kirkwood and Colin Farquharson. They call it “the site for news you can’t find anywhere else” and they certainly got the scoop this time. 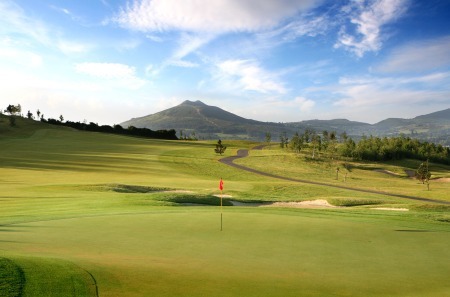 “Susan took the picture and sent it to Kirkwoodgolf.co.uk …. 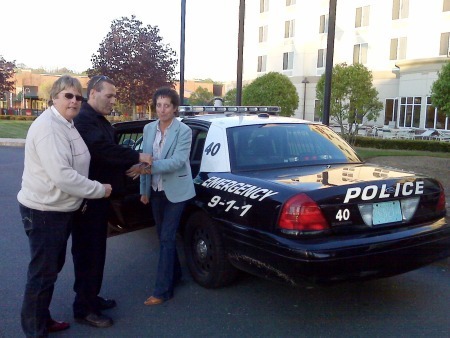 “just a little bit of fun with the local constabulary,” she says. Bet you Tegwen has never had police handcuffs on before! 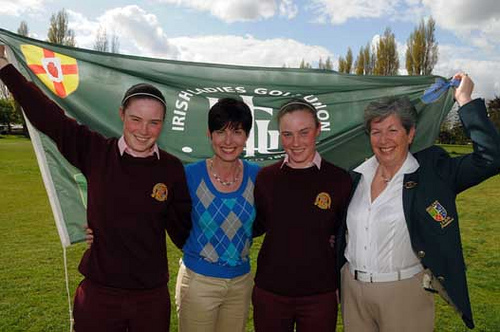 The serious business will happen from June 10-13 when skipper McKenna and her eight strong team featuring Ireland’s Denielle McVeigh and the talented Cavan twins, Lisa and Leona Maguire, bid to win the Curtis Cup for Great Britain and Ireland for the first time since 1996. US captain Burke says slow play penalty "in poor taste"
Mary McKenna: "Rory has let us down so badly it is not funny"
Teen sensations Lisa and Leona Maguire and towering talent Danielle McVeigh can help Great Britain and Ireland end 14 years of Curtis Cup agony. That’s the view of skipper Mary McKenna, who named the Irish trio in her eight-strong side to face the United States at Essex County Club in Massachusetts from June 11 to 13. The 14th at Dun Laoghaire, host club for the 2016 Curtis Cup.Dun Laoghaire Golf Club has beaten off stiff competition to host the 2016 Curtis Cup Match.